The other thing that both The Matrix and Speed did, was spawn sequels, and after watching John Wick in 2014, we all knew this character would be back as well. And while John Wick: Chapter 2 wasn’t bad, it didn’t quite grab viewers in 2017 the way its predecessor did. Now we have the trailer for Chapter 3, set to Andy Williams’ version of “The Impossible Dream,” and it looks special. After the events of the second movie, John (and his dog) are now on the run, as every hitman in town is after his head. This movie looks like it’s gonna be a lot of fun. As for the cast, Ian McShane, Laurence Fishburne, and Lance Reddick all return. Additionally, the franchise has added several actors to the roster this time around. The newcomers are headlined by Oscar Winner Halle Berry, who appears to have a history with Wick. Others include Jerome Flynn (Game of Thrones), Jason Mantzoukas (Brooklyn Nine-Nine), Robin Lord Taylor (Gotham), Mark Dacascos (Iron Chef), Asia Kate Dillon (Orange is the New Black), and Anjelica Huston, who is probably best known for her role in The Addams Family films as Morticia. Also rumored is Japanese actor Hiroyuki Sanada, who has recently been seen on HBO’s Westworld and will be appearing in Avengers: Endgame in April. 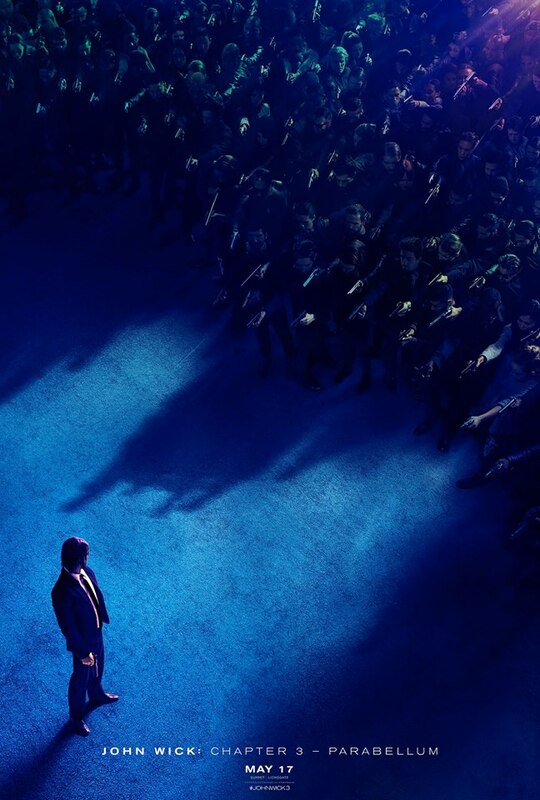 John Wick: Chapter 3 – Parabellum, directed by Chad Stahelski with a screenplay from Derek Kolstad, releases May 17, 2019.